VIDHYARAMBHAM. Most people belonging to the southern parts of India must be familiar with this term. For the uninitiated, this is a tradition held on Vijaydasami when the child is initiated into the world of learning. The child is made to write his first word on a plate of rice. 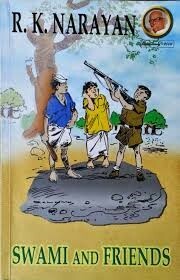 That is how most people in Southern India start off a very long and never ending journey of knowledge. When kids start going to school, in order to catch their attention and spike their interest, books that are given to them are very colourful and vibrant. Most parents start introducing books at a very early age so as to get the kids to become avid readers. Reading is a very important habit. Time and again we are told to inculcate reading habits in our kids. Why is so much emphasis given on this one particular habit? Have any of you thought about it? 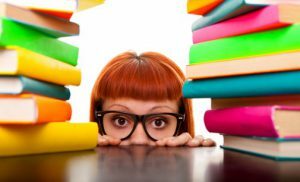 I think the foremost reason is that reading helps in improving the language skills , imagination and takes you to a world you never imagined existed. 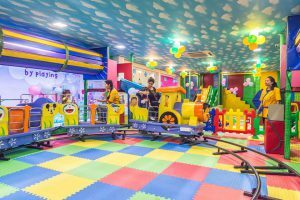 It also helps in relaxation of the body at the same time works on improving the concentration and focus of the child. As you read along you visit and experience new places, people, situations and improve your ability to remember. It also makes it easier to communicate freely your thoughts and emotions. And the best outcome once the child reads fluently is pure pleasure. The list about the pros of reading is endless. Old habits die hard, so it’s better to get them started young. To get the kids going, we in today’s world have a lot of brilliant writers just not international ones but a whole lot of Indian writers as well who successfully manage to strike a chord with every kid who reads them. A true blue Bangalorean and a computer engineer, Pai started her writing career with a popular children’s magazine Target. 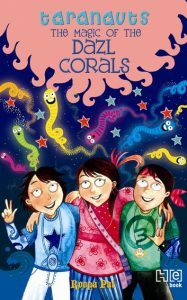 She is also the author of Taranauts which is India’s first fantasy adventure series for children. Science and problem solving are recurring themes in her books. The best selling 4 part science series SISTER SISTER has been translated into 11 Indian languages. The Gita..is also a one of a kind retelling of the epic BHAGAVAD GITA. The famous Indian writer whose book the MALGUDI DAYS which was set in the fictional south Indian town Malgudi, brought Swami and his friends into our hearts. He was a master story teller who captured the essence of ordinary life. 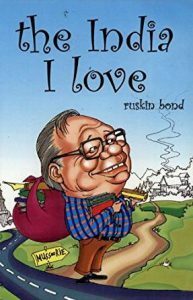 Some of his other famous books are The Vendor of Sweets, The English teacher, The Man Eater of Malgudi, Under the Banyan Tree and other short stories, Lawley road and other short stories. An Indian author of British descent, he has played a major role in bringing about the growth of children’s literature. Rusty, an Anglo-Indian boy was brought to life in the frist book called, THE ROOM ON THE ROOF. He has written over 50 books for children some of the famous ones being The Blue Umbrella, Funny Side Up, A Flight of Pigeons, The Adventures of Rusty, Rusty and the Magic Mountain and many more. He brings alive the spirit of the mountains, the Rich flora and fauna, landscapes ,seasons and hill folk to life. 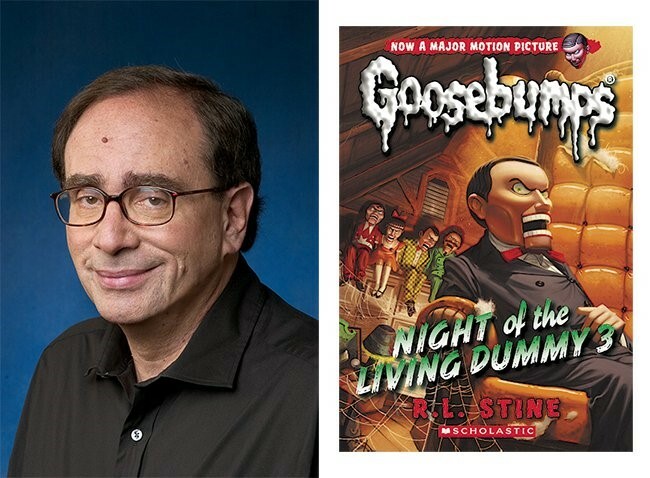 He is an enigma who wrote books for both children and adults. The illustration in his books are beautiful and vivid, the content is inspiring and his books have a great sense of humour. The little kids once hooked to his books will always want to read more and make for great bed time readings. He manages to ignite a lasting love of reading. 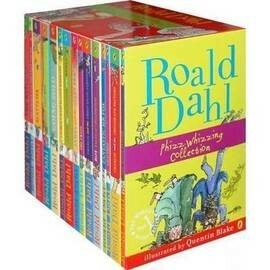 Every single book by Roald contains sheer magic and have very humble characters and acknowledges childhood insecurities without putting them off and teaches life lessons through his books. One author who we would definetly want the kids to read. Matlida, Charlie and the Chocolate factory, James and the Giant Peach, The Twits, The Witches are some of his famous works. A relatively new author from India, she is popular world over for her illustrated books for young adultS. 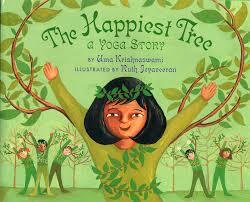 Some of her famous books are Chachaji’s Cup, Bringing Asha Home, The Happiest Tree and Out of the way. 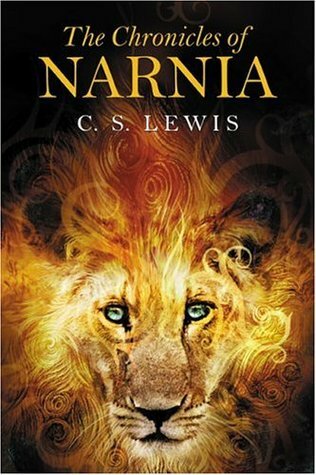 The author of the popular classic fantasy series, The Chronicles of Narnia, a book where we are captivated so intensely in a world of wonderful imagination has cemented his place as the best author of all time for children’s literature. 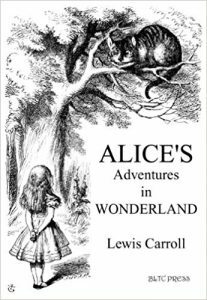 Alice in Wonderland, its sequel, Through the Looking Glass. The Famous Poem , The Hunting of the Snark. The above works are noted for its logic and fantasy and also for its literary nonsense. That’s Lewis Carroll for you ! The list of authors are endless. The most famous ones like Joanne Rowling who is famously known as J.K.Rowling for her Harry Potter series and Rick Riordan for his Percy Jackson series need no introductions. Suzanne Collins ,the American author is also famous for The Hunger Games. All the above are made into film series and are viewed by a lot of non-readers as well. Like every book is different so are the choices of the young readers. Get them started age appropriately. Comics like Tinkle, Amar Chitra Katha series, books by Tulika Publications and Panchatantra books are a good start to get them interested. Moving on Enid Blyton series, Nancy Drew and Hardy boys are the other favourites for kids. And once they are hooked to the world of books there is no looking back. Cheers to more readers in the near future!! !